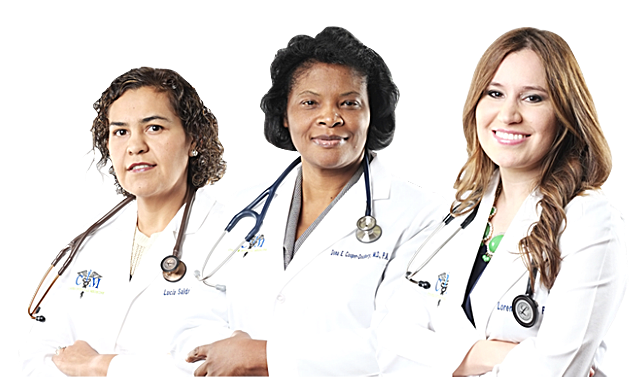 Our friendly staff of medical professionals looks forward to meeting you. From diagnosis to treatment, we will be there to see you through to good health. Dr. Lucia Saldana has been working with Cooper Internal Medicine for the last six years. There, she forms personal relationships with her patients, many of which she considers friends. Saldana considers going above and beyond as part of the job description. She believes that education about the disease process is the first step on the healthy path. Saldana knows first-hand the patience required to make sure patients are well-informed of their condition – patience born of a deep passion to help and to heal.